Today we have a foreign staff you might already know as Alex. Alex is from London and has been with us for some quite time. Alex is a dazzling man and quite a fashionista. 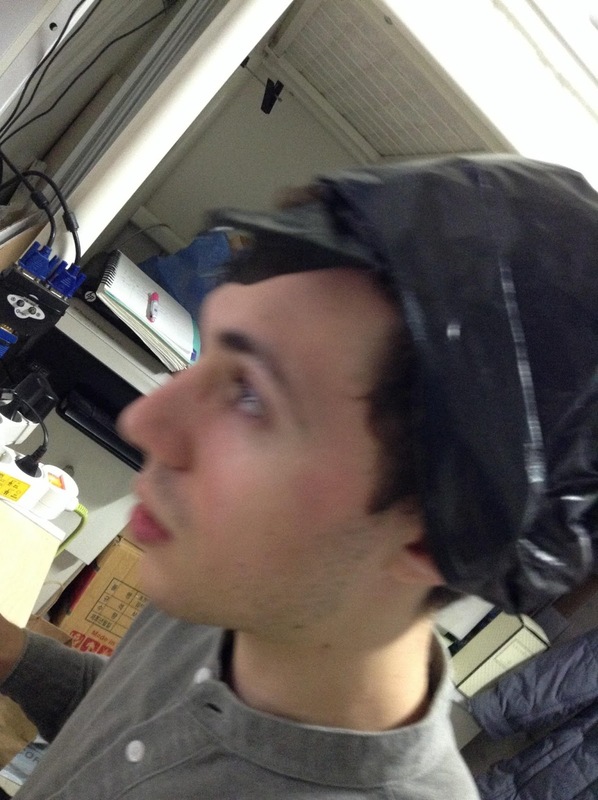 This is his newest look, le "Spiritus Tenebrae Plastic!!" The Spiritus Tenebrae Plastic is a head accessory of dark color, with very shiny reflective material. This accessory has only one made in the world, one made by the brilliant and technically non-tone deaf person I know. And it resides right here in our guesthouse! 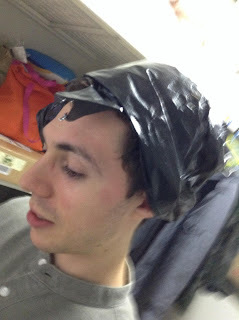 It is not just a plastic bag on his head I assure you. He then later made kimchi and rice with this look. Ok, it is just a plastic bag. But there is only one black plastic bag worn by a London singer songwriter that lives in Hongdae that lives in Leo Guesthouse named Alex. And if you would like to meet this gorgeous man, you should come to our guesthouse in Hongdae, Leo Guesthouse!